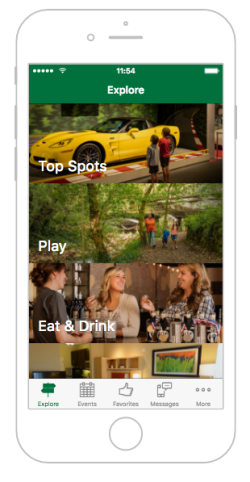 Navigate your visit to Bowling Green, Ky. with our new mobile app! 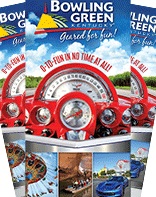 Navigating Bowling Green, Kentucky just got easier! The Bowling Green Area Convention & Visitors Bureau has made cruising around the Bowling Green area even easier with the launch of its new app. This additional mobile-friendly tool is particularly helpful when internet connections are spotty like at Mammoth Cave National Park and Beech Bend Raceway. Available for free download in the iTunes and Google Play app stores, visitors and locals alike can make the most of their mileage in South Central Kentucky with the official destination app. Plan a fully loaded itinerary by adding attractions, listings and events to your favorites. Search for restaurants, shops, and hotels by category or location. See what’s nearby with GPS-enabled directions and tools. Cruise the events section by interest category and even save to your phone’s calendar. Stay up to date on what’s new, special offers and discounts through the message center. Share events or listings directly with friends in your network via text, email or social. Fasten your seatbelt, it&apos;s going to be a fun ride!